In a strange series of events, rumors about a rumor made headlines during the past few days. 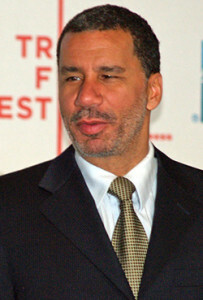 Speculation spread about a story The New York Times was possibly working on that could be damaging to New York Governor David Paterson’s reputation, and might even result in his resignation. It was all fueled by the speed with which news can spread online — or rumors, as the case may be. Even reputable news organizations were reporting the rumor, asking about the rumor, or reporting on other news outlets reporting the rumor. Alex Pareene, a reporter at Gawker, actually wrote about Koblin’s tweet on February 5, as if that were newsworthy enough. By February 7, the rumor even got coverage from The Associated Press. Also on Tuesday, The New York Times finally covered the debacle on its City Room blog. In the article, NYT Metropolitan Editor Joe Sexton said, “Obviously we are not responsible for what other news organizations are reporting. It’s not coming from The Times.” Most responses to The NYT article, whether coming from other bloggers or from the people who post comment on those blogs, are not viewing the newspaper in a positive light, however. The consensus seems to be that the paper should have addressed whether or not it is writing a piece on Gov. Paterson and, if so, what the subject matter will be. By being coy, The NYT is only allowing speculation to continue. Gov. Paterson’s chief of staff, Lawrence Schwartz, calls for an internal inquiry into The NYT‘s lack of response in a letter to the editor, the full text of which you can read at The Huffington Post via The Associated Press. About the cycle of events, a Mediaite reporter Glynnis MacNicol wrote, “It’s like some terrible game of media Telephone.” And she’s right. Online news outlets have even more pressure than their offline counterparts to be timely, but when did it become okay for the respected, reputable media organizations to resort to tabloid behavior? As fake news goes viral, it becomes impossible to ignore. We saw this during the 2008 campaign cycle routinely. […] Many media outfits seemed compelled to follow it, but what precisely are they following up on? Everything that has been written in recent days — including what’s in the Times story, when it would publish, how the governor would resign, how the governor would not resign, how there’s a lady from Buffalo, how there might be drugs, how there might be something involving an aide — is all part of the fake-news echo chamber. If you’re dealing with drug charges, you’ll be facing heavy fines, prison time, and other grave consequences. To overcome that, you must get the help of the best Las Vegas Drug Lawyer. For instance, at www.legalmann.com, they are equipped with certified lawyers with more than a decade of experience. But we appear to have entered a moment where even the process of journalism — getting a story — is news in and of itself. Koblin’s story also provided a chart of the news cycle. You can see a clip of Gov. Paterson’s news conference from CBS embedded below, or check out a longer clip from CNN on YouTube, for which embedding has been disabled. You can also follow the conversation on Twitter by keeping up with the #NYgov hashtag. Image by David Shankbone, used under its Creative Commons license.